Recently, I’ve noticed a trend wherein brave parents of children with autism who are severely affected, go on the Internet to tell all about the miserable truth regarding the disorder. To live with a child with classic autism is devastating and frightening. The accurate descriptor would be: nightmare! Every time I read one of these posts, I can’t help but think: why are these parents doing this by themselves? 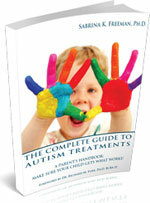 Why is there no professional involved in setting up a treatment program for their child? If there is a bona fide autism professional involved, why is horribly egregious behavior still happening? The science of behavioral treatment has come a long way and there are professionals who are qualified to eliminate anti-social behaviors and encourage pro-social behaviors. If the issue is money, which it often is, these parents would be wise to see that what monies are available can possibly be redirected toward a behavioral treatment consultant who can set up a treatment program to extinguish maladaptive behaviors. We all know that government programs set up to help are usually a huge pain to navigate. It’s exhausting and frustrating to advocate for one’s child in a mindless bureaucratic system. However, if the child is truly out of control and is aggressing toward the parent, it’s only a matter of time until the system inherits responsibility for that child. Therefore, it’s in the best interest of “the system” (i.e., less expensive) to support the child at home. If the parent can bring this message across successfully, the system will probably find monies to divert to the proposed in-home behavioral treatment program. If the parent cannot do this on his/her own, perhaps a local advocate or attorney can assist in bringing the cost-benefit argument across persuasively to government officials. It is truly outrageous that families of severely autistic children suffer in this way, especially when there is a viable alternative a phone call away.